Law Web: Whether suspect can claim that he should be interrogated in presence of his lawyer? Whether suspect can claim that he should be interrogated in presence of his lawyer? We do not find any force in the arguments of Mr. Salve and Mr. Lalit that if a person is called away from his own house and questioned in the atmosphere of the customs office without the assistance of his lawyer or his friends his constitutional right under Article 21 is violated. The argument proceeds thus: if the person who is used to certain comforts and convenience is asked to come by himself to the Department for answering questions it amounts to mental torture. We are unable to agree. It is true that large majority of persons connected with illegal trade and evasion of taxes and duties are in a position to afford luxuries on lavish scale of which an honest ordinary citizen of this country cannot dream of and they are surrounded by persons similarly involved either directly or indirectly in such pursuits. But that cannot be a ground for holding that he has a constitutional right to claim similar luxuries and company of his choice. Mr. Salve was fair enough not to pursue his argument with reference to the comfort part, but continued to maintain that the appellant is entitled to the company of his choice during the questioning. The purpose of the enquiry under the Customs Act and the other similar statutes will be completely frustrated if the whims of the persons in possession of useful information for the departments are allowed to prevail. For achieving the object of such an enquiry if the appropriate authorities be of the view that such persons should be dissociated from the atmosphere and the company of persons who provide encouragement to them in adopting a non-cooperative attitude to the machineries of law, there cannot be any legitimate objection in depriving them of such company. The relevant provisions of the Constitution in this regard have to be construed in the spirit they were made and the benefits thereunder should not be "expanded" to favour exploiters engaged in tax evasion at the cost of public exchequer. Applying the just, fair and reasonable test' we held that there is no merit in the stand of appellant before us. Superintendent, Central Excise and others etc. etc. L.M. Sharma, J.S. Verma and Yogeshwar Dayal, JJ. 1. The common question arising in these cases is whether the respondent in Criminal Appeal No. 476 of 1986, the appellant in Criminal Appeals No. 301-302 of 1987 and the petitioners in the other cases are entitled to the presence of their lawyers when they are questioned during the investigation under the provisions of the Customs Act, 1962 and the Foreign Exchange Regulation Act, 1973 (hereinafter referred as to 'FERA'). There is difference of opinion between the High Courts on this issue, the Delhi High Court in the judgment (reported in 1985 Crl. Law Journal at page 1325 ) under challenge in Criminal Appeal No. 476 of 1986 holding against the revenue, and the Madras High Court taking the opposite view in its judgment impugned in Criminal Appeals No. 301-302 of 1987. 2. The main argument has been addressed by Mr. Salve with reference to the facts in Criminal Appeals No. 301 and 302 of 1987 arising out of the matter under the Customs Act, 1962. Mr.U.R. Lalit, the counsel in Writ Petition (Crl.) No. 71.7 of 1991, has adopted his contentions and supported the same by additional grounds. The Enforcement Directorate, Delhi Zone, 'investigating the matter under the FERA, has filed Criminal Appeal No. 476 of 1986 against the judgment of the Delhi High Court allowing the applications under Section 482 of the Criminal Procedure Code, of the respondents, who are represented before us by Mr. Panjwani. 3. Mr. Salve referred to the provisions of Chapter XIII and XIV of the Customs Act and contended that since there is no statutory provision prohibiting the presence of a counsel during the interrogation of the person concerned, a request in this regard, if made, cannot be legitimately refused. In any event, the learned Counsel proceeded to urge, that in a situation where the possibility of the person under interrogation of being prosecuted as an accused cannot be denied, he is entitled to the assistance of a lawyer during the questioning, because to deny him such a right would be violative of the constitutional protection under Article 20(3) of the Constitution. Alternatively Mr. Salve contended that in view of the constitutional protection of life and personal liberty guaranteed by Article 21, the person concerned is entitled to insist upon the presence of his lawyer when he is questioned by the officers of the department. 4. Both Mr. Salve and Mr. Lalit strongly relied on the observations in Nandini Satpathy v. Dani (P.L.) and Anr. : MANU/SC/0139/1978 : 1978CriLJ968 . We are afraid, in view of two judgments of the Constitution Bench of this Court in Romesh Chandra Mehta v. State of West Bengal: MANU/SC/0282/1968 : 1970CriLJ863 , and Illias v. Collector of Customs, Madras: MANU/SC/0297/1968 : 1970CriLJ998 , the stand of the appellant cannot be accepted. The learned Counsel urged that since Nandini Satpathy's case was decided later, the observations therein must be given effect to by this Court now. There is no force in this argument. 5. Mr. Salve referred to the provisions of the Customs Act and contended that in view of the mandate in Section 108(3) a person has to answer truthfully the question put to him by the Customs Officer and has to produced documents or any other thing as may be required, and he is within his rights to refuse to answer such questions which may lead to his own prosecution. 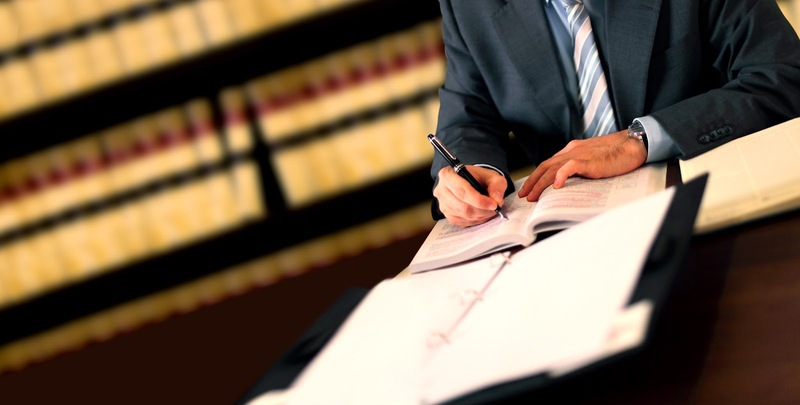 An inquiry under the Act is held only when prima facie some violation of the law takes place, and the purpose of the inquiry is to identify the guilty person who has been described by the learned Counsel as the potential accused. The protection under Article 20(3) is claimed to be not limited to persons who are already accused but to extend to cover a potential accused too; and a person under interrogation may himself be such a potential accused. He may, therefore, require the presence of a lawyer who can advise him as to which of the questions he may refuse to answer in view of the protection under Article 20(3). It is submitted that to deny him this privilege is to deny him a constitutional right. We do not find any merit in this argument in view of the decisions of this Court referred to above. The expression "any person" includes a person who is suspected or believed to be concerned in the smuggling of goods. But a person arrested by a Customs Officer because he is found in possession of smuggled goods or on suspicion that he is concerned in smuggling is not when called upon by the Customs Officer to make a statement or to produce a document or thing, a person accused of an offence within the meaning of Article 20(3) of the Constitution. The steps taken by the Customs Officer are for the purpose of holding an enquiry under the Sea Customs Act and for adjudging confiscation of goods dutiable or prohibited and imposing penalties. The Customs Officer does not at that stage accuse the person suspected or infringing the provisions of the Sea Customs Act with the commission of any offence. His primary duty is to prevent smuggling and to recover duties of customs when collecting evidence in respect of smuggling against a person suspected of infringing the provisions of the Sea Customs Act, he is not accusing the person of any offence punishable at a trial before Magistrate. The above conclusion was reached after consideration of several relevant decisions and deep deliberation on the issue, and cannot be ignored on the strength of certain observations in the judgment by three learned Judges in Nandini Satpathy's case which is, as will be pointed out hereinafter, clearly distinguishable. 7. A perusal of the facts in Nandini Satpathy v. Dani (Supra) would clearly indicate that the decision has no application in the present cases. The matter arose out of a complaint filed by the Deputy Superintendent of Police (Vigilance) against the appellant under Section 179 of the Indian Penal Code before the Sub Divisional Judicial Magistrate, Cuttack. The Magistrate took the cognizance of the offence and issued summons for appearance against the appellant. It was contended unsuccessfully that the charge was unsustainable in view of the protection under Article 20(3) of the Constitution and the immunity under Section 161(2) of the Criminal Procedure Code. In this background the observations relied upon by Mr. Salve and Mr. Lalit were made and they cannot be treated to have in any way diluted the ratio in Romesh Chandra Mehta's case. The question whether customs officials are police officers, and whether the statements recorded by the customs authorities under Sections 107 and 108 of the Customs Act were inadmissible in evidence were examined in Illias v. Collector of Customs (supra) and answered in the negative by a Bench of five Judges and it is, therefore, no use referring to the observations made in the judgment in a regular criminal case initiated by the police. 8. Reference was also made to the Constitution Bench decision in Ramanlal Bhogilal Shah and another v. D.K. Guha and Ors. : MANU/SC/0264/1973 : 1973CriLJ921 . The appellant Ramanlal was arrested on August 31, 1971 under Section 19B of the Foreign Exchange (Regulation) Act, 1947, and the grounds of arrest served on him included the accusation relating to a transaction with reference to which he was summoned on April 17, 1972 to appear before the Deputy Director, Enforcement Directorate on April 28, 1972 to give evidence. The petitioner pointed out that he was accused at the time when he was arrested of having committed an offence which was the subject matter of the enquiry and the summons should, therefore, be withdrawn. The prayer was rejected by the Deputy Director who insisted that the petitioner had to comply with the same. On these facts the matter was considered by the Supreme Court. It was pointed out that the First Information Report in the case had been lodged earlier, and since "it is well settled that with the lodging of the First Information Report a person is accused of an offence within the meaning of Article 20(3)", the appellant was entitled to partial relief. The decision in Romesh Chandra Mehta v. State of West Bengal was referred to and not dissented from. We, therefore, reject the argument of the learned Counsel for the appellants founded on Article 20(3) of the Constitution. It will be further noticed that in Ramanlal's case (supra) the Bench took the precaution of observing that the only protection that Article 20(3) gives to a person accused of an offence is that he cannot be compelled to be a witness against himself, but this does not mean that he need not give information regarding matters which do not tend to incriminate him. Rejecting the prayer of the appellant for setting aside the summons the Court directed him to appear before the Deputy Director and answer such questions and did not tend to incriminate him. It is significant to note that these observations permitting him not to answer self-incriminating questions were made only because the appellant was held to be an accused on the relevant date. 9. Mr. Salve has, next, contended that the appellant is within his right to insist on the presence of his lawyer on the basis of Article 21 of the Constitution. He has urged that by way of ensuring protection to his life and liberty he is entitled to demand that he shall not be asked any question in the absence of his lawyer The argument proceeds to suggest that although strictly the questioning by the Revenue authorities does not amount to custodial interrogation, it must be treated as near custodial interrogation, and if the same is continued for a long period it may amount to mental third degree. It was submitted by both Mr. Salve and Mr. Lalit that the present issue should be resolved only by applying the 'just, fair and reasonable test', and Mr. Lalit further added that the point has to be decided in the light of the facts and circumstances obtaining in a particular case and a general rule should not be laid down one way or the other. Mr. Salve urged that when a person is called by the customs authorities to their office or to any place away from his house, and is subjected to intensive interrogation without the presence of somebody who can aid and advise him, he is bound to get upset, which by itself amounts to loss of liberty. Reference was made by the learned Counsel to the minority view in Re Groban:352 US 330, 1 LE 2 376, declaring that it violates the protection guaranteed by the Constitution for the State to compel a person to appear alone before any law enforcement officer and give testimony in secret against his will. Secret inquisitions are dangerous things justly feared by free men everywhere. They are the breeding place for arbitrary misuse of official power. They are often the beginning of tyranny as well as indispensable instruments for its survival. Modern as well as ancient history bears witness that both innocent and guilty have been seized by officers of the state and whisked away for secret interrogation or worse until the groundwork has been secretly laid for their inevitable conviction. While the labels applied to this practice have frequently changed, the central idea wherever and whenever carried out remains unchanging extraction of "statements" by one means or another from an individual by officers of the state while he is held incommunicado. The learned Judge, accordingly expressed his dissent, observing that to compel a person to answer questions at a secret interrogation where he is denied legal assistance and where he is subject to the uncontrolled and invisible exercise of power by government officials, would be unconstitutional. We do not share the apprehension as expressed above in the minority judgment in connection with enquiry and investigation under the Customs Act and other similar statutes of our country. There is no question of whisking away the persons concerned in the cases before us for secret interrogation, and there is no reason for us to impute the motive of preparing the groundwork of false cases for securing conviction of innocent persons to the officers of the state duly engaged in performing their duty of prevention and detection of economic crimes and recovering misappropriated money justly belonging to the public Reference was also made to the observation in the judgment in Carlos Garza De Luna, Appt., v. United States; 1 ALR 3 969; setting out the historical background of the right of silence of an accused in a criminal case. Mr. Salve has relied upon the opinion of Wisdom, Circuit Judge, that the history of development of the right of silence is a history of accretions, not of an avulsion and the line of growth in the course of time discloses the expanding conception of the right than its restricted application. The Judge was fair enough to discuss the other point of view espoused by the great jurists of both sides of Atlantic before expressing his opinion. In any event we are not concerned with the right of an accused in a criminal case and the decision is, therefore, not relevant at all. The facts as emerging from the judgment indicate that narcotics were thrown from a car carrying the two persons accused in the case. One of the accused persons testified at the trial and his counsel in argument to the jury made adverse comments on the failure of the other accused to go to the witness box. The first accused was acquitted and the second accused was convicted. The question of the right of silence of the accused came up for consideration in this set up. In the cases before us the persons concerned are not accused and we do not find any justification for "expanding" the right reserved by the Constitution of India in favour of accused persons to be enjoyed by others. 11. We do not find any force in the arguments of Mr. Salve and Mr. Lalit that if a person is called away from his own house and questioned in the atmosphere of the customs office without the assistance of his lawyer or his friends his constitutional right under Article 21 is violated. The argument proceeds thus: if the person who is used to certain comforts and convenience is asked to come by himself to the Department for answering questions it amounts to mental torture. We are unable to agree. It is true that large majority of persons connected with illegal trade and evasion of taxes and duties are in a position to afford luxuries on lavish scale of which an honest ordinary citizen of this country cannot dream of and they are surrounded by persons similarly involved either directly or indirectly in such pursuits. But that cannot be a ground for holding that he has a constitutional right to claim similar luxuries and company of his choice. Mr. Salve was fair enough not to pursue his argument with reference to the comfort part, but continued to maintain that the appellant is entitled to the company of his choice during the questioning. The purpose of the enquiry under the Customs Act and the other similar statutes will be completely frustrated if the whims of the persons in possession of useful information for the departments are allowed to prevail. For achieving the object of such an enquiry if the appropriate authorities be of the view that such persons should be dissociated from the atmosphere and the company of persons who provide encouragement to them in adopting a non-cooperative attitude to the machineries of law, there cannot be any legitimate objection in depriving them of such company. The relevant provisions of the Constitution in this regard have to be construed in the spirit they were made and the benefits thereunder should not be "expanded" to favour exploiters engaged in tax evasion at the cost of public exchequer. Applying the just, fair and reasonable test' we held that there is no merit in the stand of appellant before us. 12. Both Mr. Lalit, the learned Counsel in Writ Petition (Crl.) No. 717 of 1991 and the learned Counsel for the respondent in Criminal Appeal No. 476 of 1986 (arising out of FERA case) reiterated the stand that the parties represented by them respectively should be treated to be in identical position as an accused and consequently should be allowed the protection under Clause (3) of Article 20. In view of the judgments of this Court and the discussion as mentioned earlier, the argument cannot be accepted. Mr. Tulsi, the learned Additional Solicitor General, was right in pointing out the distinction between an accused in a criminal case and a person called for interrogation under present Acts as discussed at page 466 in Romesh Chandra Mehta's case (supra). 13. The judgment under challenge in Criminal Appeal No. 476 of 1986 deals with several questions raised by the respondent, and the appeal has been pressed by Mr. Tulsi as against that part which allows the presence of a lawyer when the respondent is interrogated. It has been rightly contended on behalf of the appellant that the relevant provisions, in this regard, of the FERA and the Customs Act are in pari materia and the object of the two Acts is also similar. As pointed out earlier the case of Ramanlal Bhogilal (supra) was one arising under FERA. Consequently Criminal Appeal No. 476 of 1986 has to be allowed against that part of the judgment of the Delhi High Court which dealt with the right of the respondents to have their lawyer during their interrogation. 14. In the result Criminal Appeal No. 476 of 1986 is allowed, but without costs in the terms indicated above and the other cases are dismissed with costs to the Union of India. 15. The learned Counsel for the Union of India has drawn our attention to the period of limitation fixed under the statute for the purpose of taking certain steps and has rightly contended that in view of the pendency of the present cases in Courts the period has to be extended. During the litigation, orders of stay have been passed from time to time the matters have remained pending for no fault on the part of the concerned Departments of the Union of India and we, therefore, direct that the entire period for which the cases have remained pending either in this Court or in the High Courts shall be excluded while computing the period under Section 110 of the Customs Act and the other relevant provisions.